The Bordeaux region covers more territory than all of the vineyards in Germany combined, with over 15,000 growers, producing over 700 million bottles of wine each year. More than 80% of it is red, with the most important grapes being Merlot and Cabernet Sauvignon, nearly always blended together. Malbec, Cabernet Franc, and Petit Verdot round out the mix. It was the Dutch who drained the marshy Médoc region in the middle of the 17th century, creating the land for vineyards that would soon produce the fine wines that would give Bordeaux its reputation. The Medoc, along with the Haut-Medoc and Graves (pronounced “Grahv”) regions, lie on the “Left Bank” of the Gironde river. The warmer climate here ripens Cabernet Sauvignon to an optimal point, so much of the Left Bank Bordeaux wines will have Cabernet Sauvignon as the primary varietal in the final blend. On the “Right Bank” of the Dordogne river lies Pomerol and St. Emilion, where Merlot takes the driver’s seat due to soil composition and a climate more suited to Merlot’s growing habits. 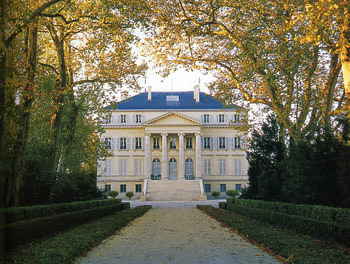 Chateau Petrus is one of the most famous, most expensive, and one of the few 100% Merlot wines of the Right Bank. It was the Greeks who first brought grapes to France by establishing vineyards in Marseilles, but the infestation of the Phylloxera root louse destroyed any grape vines existing before 1866. American Labrusca species rootstocks (resistant to Phylloxera) saved the day … Vinifera species vines in Europe (and in the U.S.) are now commonly grafted to them, although there are still ungrafted vineyards left dotting the landscape around the world. French culture dictates the qualities of Bordeaux, amid a confusing mass of classification systems born in 1855, emphasizing elegance and intensity of flavor rather than massive and powerful fruit or oak. The French start drinking wine in their youth, most often with meals. The resulting need for ample wine acids for food pairing and a subdued & elegant fruit balance of flavors is a tell-tale sign of a Bordeaux wine. See a more in-depth map of the bordeaux region at Wikipedia. 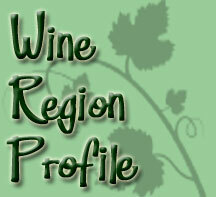 Visit Meritage.org, an association formed to market Bordeaux style blends in the rest of the world. Find links to all of the classified Bordeaux wineries at the bottom of this Wikipedia entry.